My 50 to 1 project interview is now online, along with the main video | Watts Up With That? This will be a top sticky post for a day or two, new articles will appear below this one. UPDATE: podcasts are now available, see links below. Readers may recall that back in May, I helped with obtaining funding for the 50 to 1 project out of Australia. During the summer, the project organizers made good on their promises to interview a number of people on the skeptical side of climate science, yours truly included. There’s also the main video which sums up the state of climate science and politics in just under 10 minutes. It also has the data and calculations (in a PDF) for support of the video, along with full length interviews from other contributors. These links are to the mp3 audio files, at Tubescoop, that I stripped out from the Topher interview videos on Youtube so that WUWT readers can load them into their iPhones, Android devices and music players. September 1, 2013 in Climate News, Presentations. I have been watching the video interviews and they are compelling. Probably more compelling than trying to squeeze it into a cartoon-led soundbite video. What is interesting is that even without a tightly scripted, motivated-reasoning pitch the absurdity of the hypothesis shows through, and that sceptics are reasonable people that want to see things done properly. Short and succinct. Great video to share. Excellent, worthwhile project that hoists the warmest by their own petard. I’m not sure exactly how long this south pacific cycle is, but it could mean we’re heading for years of almost constant temperatures. Watched the first video, so far the best $100 I spent politically this year. Waiting to see how my second $100 goes at AGU…. Re posted the videos at my little place. A lot there will not like it or debate it but they will insult and defame me and Anthony, a sure sign they are getting rattled. I hope i can get my University Professor brother to watch it. Good job Anthony! You are so clear and understandable. Nice to see my money was so well spent. The interview with Anthony and Joanne were great. I would caution Donna to not use the court room analogy. Not sure how is goes in Canada, but since they’re a commonwealth I’d suppose it’s fairly close to the British legal system. And that system is not impartial, it’s adversarial – as it is here in the US. So if someone can “stack the deck”, they will. Great interview Anthony in the video. The last 100 or so years have varied by probably less than 1 C on a global average scale. I doubt it can get much more constant than that ! Seems to me to be just an explanation for the models being wrong so far. Change the model fudge factors so it flattens out for the last 17 or so years. Easy to predict after the event. They have also probably realised that there will be some cooling over the next decade or so, and don’t want to be left behind too much. Once they remove CO2 completely, they will have a much better chance of being correct over the next several decades. I’ve watched yours, Anthony, and Marc Marano’s interview………very well done. Gives a realism to watts going on. Looking forward to watching the rest of the videos. Anthony Watts– I’ve really enjoyed hearing your interview. I don’t mean to toot my own horn (oh heck, yes I do)… but I’m a liberal late 20s Obamaniac who despises the GOP and almost everything they represent. But when it comes to science, I see so many parallels between the truly crazy movements of the far left and far right and the climate debate… and I have to call BS! You are so right about climate science. We can expect a moderate warming from our activities… one that is small, manageable, and probably beneficial to humankind in the long term. As a self professed tree hugger (yes, I’ve hugged trees before), I detest the way climate change alarmism has detracted from the environmental issues that really matter (deforestation of tropical forests, bad forest management here in the U.S. that has destroyed our once pristine landscape, etc). And as a poor.. I cannot afford to donate money to your cause…. but I can tell you now if I ever have two nickels to rub together in this economy, I will think long and hard about donating to your cause of climate realism. The truth is: Humanity is becoming more peaceful, people are being lifted out of poverty by the wonderous energy output of fossil fuels, and our future, even if slightly warmer, looks bright if you just sift through the claptrap. I will continue to encourage other people in my age group to care about the issue of climate change and to find the truth. You are an accidental leader on this issue… but the positive impact you have on climate science and the scientific process in general is no accident… and I mean to support that. So far I’ve listened to Anthony’s and Donna’s interview. I hope the rest are as well done. Reasonableness and sticking to the facts should eventually win the day. However, I was disheartened today to read that the Sierra club forced the closing of several power plants in Indiana. I fear we have a long way to go. To be brief Anthony: You did good. Well worth an hour off work to watch! Excellent. Perfect way to politically attack. Nice job, you come off as very centered and rational, which is exactly not how folks on the other side characterize us. Good on you for seeing through so much of the claptrap, and you are so right about the damage done by vamping attention from other real and serious environmental issues. First one I watched was Dr David Evans. Excellent scientific critique. Excellent interview, Mr Watts. First class performance, persuasive and highly credible. I don’t expect that the BBC will give 50:1 any airtime here in the UK. At least we are now seeing some AGW proponents admitting to a the lengthening plateau in surface temperatures. It is about the money and the ability to extract it from masses of consumers and taxpayers and then have politicians and bureaucrats redirect based on their choices. But it is a theory that gets to control human behavior more generally and the economy while pretending it is all for our own good. It obscures the true nature of the power and financial grab. The reports that push this, in order to obscure the harm to the economy, consistently inflate Growth by a subjective factor that shows up in the footnotes as the benefits of greater well-being. Similar to the Obama Administration’s Social Costs of Carbon. Like education, these obtuse greedy schemers and naifs are going to destroy what works as they attempt to control it. A good interview. Thankyou. Well Done. Now I can call myself a film producer. Conjures up image of Mel Brooks. Well said Bryan and welcome on board the reality express. In the end this not about politics but what is a rational approach to the environment and the needs of our fellow man. Look forward to watching the interviews, but I wish Mr. Topher had refrained from using the weasel term “climate change.” It’s all about hypothetical Global Warming, and that’s the petard the Climatists should be hanged upon. Nice work. I’m happy to say I contributed. Anthony, great interview, I concur with your outlook on Thorium. I recently finished a ‘team’ class paper on Thorium reactors. There were a couple of things that stood out, Other than, Natural Gas w/ CCS, nuclear technology is comparable on a capital costs basis against all other forms of energy production. Once you factor in efficiency, nuclear 90%, wind 37%, and solar 25% (EIA.gov), nuclear becomes by far the better alternative and cheaper than solar and about 20% more expensive than wind (onshore). So how do we get past the stigma of 3 horrible disasters in nuclear history, 3-Mile Island, Chernobyl, and of course recently Fukishima. This I do not know, it will be an up hill battle. Thorium with slightly lower fission temperatures and a fail safe reactor plug, should be an easy sell yet that will probably not be the case. We all know that there are people that oppose any forward motion on technology. It baffles me when I see people support the idea that, making energy more expensive is the way to fight climate change, whether that change is real or imagined (computerized). This is not my idea, but an America with cheap, abundant, and clean energy is in a by far better position to innovate ideas to combat any possible future change. I truly hope more people begin to read and understand what you and many others are trying to say. If Obama gets his way and our energy infrastructure takes the hit that is planned over the next decade, the future outlook is grim. Energy has been a driving force in Americas Economic supremacy over the past century and with us already falling behind crippling our ability to produce energy is not the answer. I say this often but thank you for what you do, at some point people will wake up and blogs like this will be there only hope for the truth. As we saw in January with the publishing of V4 HADCRUT, there is obviously going to be a push to remove any evidence of cooling from 1940 – 1975 and currently, in a matter of 1 month, Dec 12 till Jan 13, CRU’s warmest month went from 1998 to 2010, despicable! The biggest problem is that while we have true science and rationality on our side, they have a belief system which circumvents rational thought, logic, and facts. Believers simply want to believe. It’s part of their whole identity. Great interview, looking forward to seeing the rest. Bryan, very good, also read “Constant Battles: The Myth of the Peaceful Noble Savage” by Steven Le Blanc to find out what pre-Colonial savagery was. Great. I thought your interview was very balanced and informative. The 50:1 website is really good. The problem is, how do we get this to go “viral”? fantastic contribution to the video series anthony.i have also watched jo nova and david evans contributions.such clear and concise rebuttal based on the observations is impossible for the warmists to realistically dispute. day by day now it seems the cause is being greatly discredited,it cannot be long before some enterprising politicians see the light and get on the bandwagon in the uk. I believe one of the key phrases is that we should stop being afraid and start thinking. Most of the young people I encounter who have been raised on climate disaster since the days of their Weekly Reader, are terrified. I thought the whole thing was very well done EXCEPT for the cartoons. Whilst the figures used within them were good, the cartoons smacked of a much younger age group than the content presented by the interviewees. Who is this actually aimed at? I’ve now seen Anthony do several video presentations and there is no doubt that he comes over well, no doubt due to his tv training. is very much in doubt based on their activities so far. Overall, good presentation of the 50:1 concept. Glad I was able to help, albeit in a very small way. If we code the responses inappropriately, subtract them from “average normal responses”, take those anomilies, smooth them, average them, decyclicize them, do some non-linear curve fitting and then incorrectly infer cause and effect where no mechanism is known or can be supported by data of any kind we will have what I call Standard Normal Climate Science Results. Don’t laugh yet, as there are many of our own climate skeptics who publish regularly on this site who are guilty of these offenses as well as those crazed warmists we deride. Thanks Anthony, enjoyed it greatly! Thanks, Anthony. Good deed. What a roster of scientists and thinkers! Absent unremitting focus on the profoundly anti-scientific political-economic motivations of AGW Catastrophists’ Goebelian claptrap, all objective, rational discourse must ultimately prove futile. “J’Accuse!” may seem uncivil, but the alternative is Devil’s Island. Great presentation so far – I’m about half way through. Money well spent! Obama’s National Energy Care System will easily give the Great Central Government the full Totalitarian control he and “they” desire. I am a “Classical” Liberal. Oops, forgot to thank Topher, too. Well done. I am proud to be one of the 690! I’m halfway through your interview. It is good, but your presentation at Doctors for Disaster Preparedness (DDP) was far better job in communication. The Doctors presentation ia a finely choreographed mix of audio and effective visuals of charts and photographs. The same DDP graphics should be intercut into this video as a version 2.0 edit if the interview is to have any life on the internet. Please put a link to the DDP presentation on your “About Me” page and give visitors a chance to stumble upon it. Better yet, make the DDP video top line item on a “Watts Best” Index menu. Thanks Anthony very informative. The global weather station expose’ was excellent..
I’ve had carbon dioxide burn out for several years now. So, thanks for the synopsis there too, as I have been just sorta sweeping it way back somewhere in the brain. The thought of ‘carbon credits’ makes me ill.
There’s probably a dust factor they have forgotten to factor as well. What strikes me so vividly about video interviews of skeptics versus ‘believers’ is the contrast in demeanour. Anthony, you appear serene and calm, as do others like Tim Ball and Roy Spencer. The antagonistic, indignant, raised-eyebrow expressions on Mike Mann or Peter Glieck bely an inner conflict, as do the hand-wiinging of McKibben and the unconvincing prattle of pols like Kerry & Obama. It really challenges my self control to sit quietly and watch the latter. Sometimes we need a little help to understand some of mankinds impact on this planet. One of the better ones I’ve heard lately..
Rebroadcast: originally broadcast on April 10, 2013. “The Mortal Sea.” A ship’s captain turned scholar tracks our impact on the oceans through time. Well, look around, says my guest today. And look way back. Even in the long age of sail, of little wooden boats and tall-masted ships, humans were leaving a deep imprint on the vast seas. Hauling in catches so great they ate away at the sea’s capacity to renew and replenish. It’s all utterly relevant now. At the above link is the rebroadcast. After listening you may want the book..
3-mile island was NOT a horrible disaster – nobody was harmed physically. Chernobyl happened due to technology not used in the West combined with actions by some cowboy plant operators. Fukishima was too close to sea-level to withstand an extremely rare tsunami event. I would encourage development of the 2 hour or longer program that could be created from just the contained interviews. Add in the ones from last Novembers WUWT TV and you have a whole season series that could bring credibility back to PBS? Keep on keeping on folks. We really do need the help garnering visibility to the truth. Are there any transscripts for the videos available? It cuts the translation time for subtitles. Yes, it has been a long haul. I have put in well over a thousand hours checking and rechecking thr ratings and metadata. But the results have been worth it. I use the term ‘horrible’ not in the terms of lost life but in what it has done to people psychologically. All 3 accidents have one thing in common, human error. In the case of 3-mile island a technician put a piece of paper on the counter that blocked a warning light. Then with Chernobyl, it was technicians doing an unapproved test that, a mild understatement, got out of hand. Finally, I consider Fukishima human error because they built the emergency power below historical flood levels. I once rented a villa from a architect, who was so proud of his his and community. He had designed and built it to be 5 feet higher than historic flood levels, obviously it was right on the beach. Point being, if someone can take into account flood levels when building villas, then how was it missed when installing emergency power. Personally, I find the average person to be hysterical loons, that is my concern with getting past the stigma. I was in a conversation with fellow Electrical Engineers and was taken back by their absolute disdain/ fear/ hatred, I am, Not exactly sure which but they were against nuclear. Not one of them had a ‘reason’ other than typical media garbage, they talked about all the loss of life, in the US, there has never been 1. They talked about all the physical waste, ummm it all can fit within the confines of a soccer field. How many hundreds possibly thousands of soccer fields of coal waste are there. So I truly believe it is an up hill climb, quite possibly impossible. Another fright-panic – the radioactive water leaking at Fukushima – probably not detectable a few hundred meters away. THe volume is some fraction of that of a high school swimming pool. Has anyone actyually SEEN a Mr. Floatie outside of a pool? Brian, i think human error will be around a while longer. Are you implying that it’s all gone by? These videos represent some of the best money I’ve ever spent. Well done, Topher, Lord Monkcton, and all those that have been interviewed to date. The arguments are clear with just a delectable hint of passion, but more importantly, are credible. Well done Anthony and Topher. I’ve seen other Topher clips and he seems to be a talented young man. Look at the Chris Essex interview. He certainly thinks outside of the box. And his approach to everyday people and how they might deal with the specter of climate change is very refreshing. Worth a watch. The videos leave behind a clear record the speakers will have to live with inside a decade. If there is no new high temperature record in about five years, most of the world will probably walk quietly away. Mann will be like Pete Rose at the annual BB Hall of Fame inductions. If it goes the other way… well thanks for taking this side anyway. I’ll never be ashamed to say I thought AGW was mostly hose shirt. I should like to thank the 690 angels who backed the 50 to 1 project so very generously; Topher Field and his talented team for turning the germ of an idea into a distinguished finished project on time and well under budget; Anthony for his kindness in allowing the project to be plugged on his ever-more-splendid blog; and Anthony (again) and all the other articulate and well-informed interviewees for their eloquent contributions. To those who worry about whether we at the 50 to 1 project will be proven wrong by a resumption of warming, don’t worry. All of the economic calculations were done on the assumption – per impossibile – that the IPCC’s projections of global warming are correct. 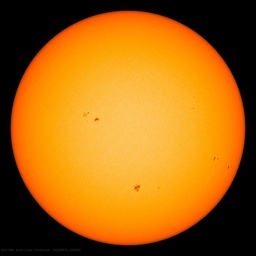 A resumption of warming will leave our calculations unaffected. And, talking of the calculations, the underlying reviewed paper will shortly be posted up on the 50 to 1 website. To those who suggest that a two-hour feature could be made of the main video and the interviews, yes, that is indeed a possibility. However, now that Topher has proven himself so triumphantly, I shall be proposing to him a series of 6-8 hour-long TV programs filmed in a courtroom under a real High Court judge, where the “official” position on global warming will be put on trial in front of a real jury of qualified but uncommitted scientists. The series will be entitled “Judgment Day”. Watch this column for further details. Thank you all again for your help and encouragement. 50 to 1 needs to do it’s part in fighting couchpotatoitis by making these interviews available as easy to download mp3s. Anthony Watts– I’ve really enjoyed hearing your interview. I don’t mean to toot my own horn (oh heck, yes I do)… but I’m a liberal late 20s Obamaniac who despises the GOP and almost everything they represent. Would you do us the service of listing a few ‘items’ you despise that you ‘think’ they represent? Well done. You have past the first hurdle to clear logical thinking. Now all you have to do is to realise that Obama is an inveterate liar. What he is doing via his agencies and outside of the constitution will severely damage the once great nation that is the USA. Read Steven Goddard. It’s fun, cynical, sarcastic but accurate. I may be just a retired old tool and die, cnc machinist, but I donated ($500), half of a month’s income to the making of this set of film interviews. Best other investments in truth telling I have made have been to Joan Nova, WUWT, Tallblokes Talkshop, and buying books found on the right side bar. Just to show the grass roots effects of skeptics, no oil money source here, I have spent in all, about 25% of my income over the past two years, in the advancement of the truth getting to the public. JPeden, concerning water vapor, it largely does. Without atmospheric humidity provided by the oceans, Earths average temperature would be about -18C not +15C and we would not be here debating AGW. The CO2 climate question is whether upper troposphere relative humidity stays constant with induced warming. IPCC AR4 says, and GCMs say, it does. Observational evidence IPCC ignores says it goes down, even though UT specific humidity may still increase some. Mechanism is likely Lindzen’s adaptive iris hypothesis. So water vapor positive feedback is overstated and the models run hot. This is why they produce the infamous tropical troposphere hot spot that does not exist. Is explained in my book in the chapter in climate change. I have posted links in several groups at http://www.linkedin.com – all building industry design and operations. (we’ll see if they get approved for posting or not.) IMO, this field is suffering due to the climate scare tactics, with codes and design requirements becoming economically unfeasible. All 3 accidents have one thing in common, human error. In the case of 3-mile island a technician put a piece of paper on the counter that blocked a warning light. Would you rather like to hear the initiating reason that caused the ‘problem’ in the first place (the ‘paper tag’ blocking an indicator occurring somewhat later)? How about water being forced into pressurized “instrument” air supply system? When I saw this had come up yesterday, I put up my little red planet in Likes (sorry about it being red, by the way, no I’m not a communist), because I was thrilled it was out – then I went and watched the videos. That took the rest of my afternoon and some time this morning. Absolutely fantastic. What I would like to see is the option to download this as one giant video – all together. The short video was great, but all the full interviews were even better and I would like to see them locked together into one fantastic show so as not to dissipate any of it. Every aspect was covered and Topher plied each and every one of his interviewees with the “tough” questions, bringing in every argument and concept an ordinary person not already into the subject would ask. I found it riveting from beginning to end. Brilliant job done by all – and a big Thank You to all who made it possible. I hope you see this comment: You very much speak for me! I have the same political ideals as you describe and the same concern that climate change alarmism perverts real issues pertaining to the environment and science. Anthony, just a short note to say what a great interview you did. It reminded me what captured my interest and led me down the data path to scepticism when I first found WUWT. Verity, thanks. And thanks to everyone for the kind words. I’ve just watched/listened to the JoNova interview, and she is far more impressive than I expected from reading her blog. Not that I thought she was ever off base, but I hadn’t realized how extensive her presentations of popular science programming had been *before* her conversion to climate skepticism, coincidentally at about the same time I went from the same level of belief to an utter disbelief in 2007, for many of the same reasons. The program we won’t see but should would be a half hour of Charlie Rose talking to Joanne Nova and Bill Nye about climate issues… the more I see of Nye the more I miss Don Herbert. I was a little disappointed that there was no mention at all of all the “adjustments” in the data sets done by the government agencies. We know bad sites may be 1/2 of the warming, but the rest may be from the “adjustments”. In fact, there may be more cooling than we know about if we could only get fair and accurate data. Can’t have everything though. Well done on the vids. Very nice interview Anthony, where anyone watching could absolutely find nothing extreme… except what’s coming from the warmists’ side of the argument. These links are to the mp3 audio files, at Tubescoop, that I stripped out from the Topher interview videos on Youtube, so that WUWT readers can load them into their iPhones, Android devices and music players etc. Well done, Anthony. Focused, succinct and reasoned without the dogma of one who thinks he knows all there is to know. Great interview. I am half way through. Thanks Anthony. In Aust the weather mob are stating: Warmest winter, highest temperature for the early spring weather. I just wonder where they have stationed the monitoring equipment. What a neat project this turned out to be. Thanks so much to Tropher Field and his team. Gordon Alderson, Ben Whimpey, Luke Evans, Sinead Lau, Gavin Fisher, Nick Matthews, and Chris Dawson. And also to the 690 folks who donated to this project. Clearly with less than $60K of budget, I am sure there were a lot of donated long hours put into this. I really do and I suspect most of us here really appreciate the professional effort and the very nice final product. I loved the extended interviews and thanks so much to all of you who participated in them and especially Anthony Watts for his tireless effort in all these endeavors and his support of this project. Can anyone else see the little yellow guy (gal?) in the 50:1 cartoon as somewhat of a “mascot” for Skeptics? Great idea with Day of Judgement. Just a pity we cannot drag various felonious frauds in to be judged along with it….but go for it! I need to amend and extend my praise heaped on Topher Field, Lord Monckton, and those who were so compelling in their individual interviews and those in the background making this happen. And finally, huge thanks to to my fellow 690 Club members for helping make the 50 to 1 project happen! Wow. Well done. Thank you. I am one of the “690” who would contribute to that effort as well. Great stuff Anthony. I’ve watched yours and the one with Joanne, and they were very well done. Comes across as very level-headed, objective and reasoned. Just the tone that needs to be used to wake up the masses. Outstanding job by Topher; please pass on our kudos. Send the link to everyone you know. We need to get it trending. Brian S, I was excited to see Obama elected the first time, just because of what it said about how far we have come as a nation in overcoming our racial history. However, his misuse of an agency that has some really excellent scientists (EPA) is one of the most ill informed and genuinely anti-scientific actions of any president in a very long time. But don’t take my word for it, look into it for yourself. Perhaps you could find a way to get Obama admin insiders to see 50:1? It would be a good thing for all of us. Hilariously, sort of, large trenched earthworks have been found under the “pristine” jungle cover in Amazonia, strongly suggesting a widespread pre-Columbian agricultural society, with vast cleared and farmed landscapes — all of which collapsed confronted with Hibernian iron technology and weapons, permitting the return of wild forests. So Amazonia is at least substantially second-growth forest, if not some higher number! “Pristine” is empty verbiage, and dis-information. I have watched all the videos and appreciated them immensely. Thanks to all concerned. I greatly look forward to that, Lord Monckton. I agree that Topher excelled himself with a very professional job. Now that I have seen his work, I plan to make a donation to the next effort if arrangements are made for that. Um, Greenspan was wrong. “Don’t be afraid”. Nothing runs out. When necessary, something else, cheaper and better, is found. Always. Think whale oil. Thanks for the mp3 links. They seem to work all right. Climate skepticism, for lack of a better word, is full of fascinating personalities, events and topics. It could probably support some sort of regular podcast. Richard Holle, for heroically sacrificial giving. You have brightened many a thread with your video postings. Keep it up! Here’s to a wonderful year ahead for you, full of joy. —– this thread is apparently dwindling down, so…. “Nothing runs out. When necessary, something else, cheaper and better, is found. Always. Think whale oil.” (Brian H at 6:23pm today) Econ. 101. (Repeated for emphasis). YES. Carla is (unintentionally, no doubt) promoting the U.N.’s “sustainability” lie by which they hope to justify controlling the economies (and population) of the world. Those who on this site speak out against the modern technique of gene splicing that creates “GM” food also help the Envirostalinists. For decades, now, very few people in this country (U.S.) have been eating non-genetically modified food, only the method (gene splicing) has changed. I don’t dispute one’s personal preference to eat non-GM food, but, to speak out against it is to promote some wicked policies that gravely harm third-world people by — the — millions. What is “sustainable” what does it mean. Every single thing used by man is still on this planet and being recycled as we speak, by processes the earth itself invented. These include, inter alia, natural nuclear furnaces, chemical reaction, heat, cold, bacteria and viruses, tectonic activity and many others. Pretty sure you Iberian, not Hibernian. There may have been some Irish conquistadors, but they have escaped the notice of history. I was tickled by David Evans’ speculations about the possibility of the temperature dropping by 0.5 degrees C in two or three years. That’s one cosmic custard pie in the warmists’ faces I’d like to see. Maybe the Pranksters on Olympus will serve one up. Is there a link to the transcripts? In spite of the fact that this doesn’t happen, why does Climate Science say the same thing it predicts with increasing CO2 concentrations won’t happen with no or much smaller CO2 concentrations, using only water vapor? I don’t understand something. What is “sustainable” what does it mean. You would think that ash is ash – once burned there’s nothing left to consume, but plants use ash as food. Same with CO2 – it is another kind of ash, like water, that is the result of combining with oxygen. Both, you would think are at the end of their usefulness, but again, plants use both CO2 and water, nature’s perfect ash, to flourish. I recall reading this as a kid in Hawaii in the 1950s when I was trying to understand how Hawaiian flora and fauna could exist in such abundance on old lava flows – essentially the sterile regurgitation of stone and gas and steam from the bowels of the earth. What I learned was the answer to “how could it not?”. Massive banana tress grew in my storm drain. Solid concrete, all they had to grow was water until the roots broke through, even then there was just about zero nutrients in the rubble underneath, yet they flourished and fruited. I see “sustainable” as being their next “hot issue” and needs rational debate and science now. 90% of so called rubbish/waster problems can be simply fixed by implementing a “no rubbish left behind” policy. Think about it. Please , how do we get rid of the Norse sub titles ? I’m pleased to see that you can divorce politics from the divisive rhetoric surrounding the CAGW issue. I’m sure you’d be surprised, but there are a whole lot more “tree hugger” types that are right of center than you could possibly suspect. Or did you think CAGW was the ONLY thing the media was lying to you about? You’re absolutely right, and I’ve posted to that affect here often. The CAGW farce will wreak havoc on true environmentalism. Once the hoax is well and truly exposed (and it will be), there will be a backlash. In a parallel to “The Boy Who Cried Wolf”, some genuine environmental issue will be ignored because they’ve lied to us so many times before and with such grave consequences. As were many of those Topher interviewed, I too was a firm believer in the global warming scam. It took me a while and some careful study to finally call into question the “accepted wisdom” being fed to us. I’m pleased to see you’ve made that same journey. You’re well placed to quietly spread word through your own peer group that they might want to look into this issue a little more closely than they have been so they can avoid looking like fools down the road. As Dr. Singer suggested, it’s good to be a sceptic – just don’t be an ~early~ sceptic. We’re past that point now. Eccellent. Using their own numbers. Hoisted none-the-less on their own debunked pertard. Of course the entrenched warmista will not be swayed. However. I’m sure the target audience are the fence-sitters. They’re just waiting for some sensible succinct information: one would think. Some info just like this. How to get everyone to see it though? Great Job, Anthony! Marc Morano was his usual entertaining self although that man could speak in an Olympic event for his country! Joanne was her usual charming self and Fred Singer was the epitome of wise experience and studied knowledge. My favourite was Donna, though – she was full of humour and wit! Topher does a great, very even-handed interview in each case. I was one of the funders, so needless to say I’m more than happy with the results. I think it important this be out on social media, and the twits at Twitter have blocked the site as unsafe even though it is perfectly safe according to Google. Any chance the 50to1.net site could be mirrored as a page in your site so it can be tweeted? Great interview, Anthony. Looking forward to see the rest. I am happy I contributed to the project. I realized today how easy you make it for me to direct my contributions. Your knowledge of the players and your scientific integrity guarantee it will go to worthwhile efforts. I wish I could say the same about my taxes. Sorry to hear that but your prognosis is good. Facts are stubborn things. You’ll get better. So did I. That’s a risk inherent in the sport and it happened to most of us. Wear a helmet, focus on edge control and look way ahead as you maintain your fall line. Choose tree runs with fresh snow and fewer deep ruts. If tree skiing is what you do most and you can’t avoid hard pack ruts it helps to get dedicated shorter skis, by about 5 cm. And if a hug becomes unavoidable, avoid the trunks of mature lodgepoles and head for a young spruce. Just sent emails to my senators and congressman with the link. I also sent it to my Governor (WA) and Seattle Mayor, along with a number of green-industry leaders in the area. …I don’t mean to toot my own horn (oh heck, yes I do)… but I’m a liberal late 20s Obamaniac. You sound like a smart and very nice person Bryan. It seems you have a good handle on how to seek truth with respect to climate. I feel very bad for people of your age, who will have the burden of paying for the debt that Obama is bestowing upon the youth. Our tax revenues have not dropped over the past 4 years, but our spending rose greatly. That grotesque spending that raised our national debt from almost 10 Trillion to 17 Trillion in just a little over 4 years, while doing everything possible to quell prosperity will pay negative dividends for a long long time. It is your generation that needs to figure out how we got here and do something about it. We’re counting on you! Rhetoric, flowery and otherwise, aside, the only way to reduce CO2 emissions is to reduce economic activity worldwide. That is not going to happen. So it remains that the only thing that the taxes/fees do is fuel corruption of the governments involved. Follow the money. I just finished watching your interview. Clear, concise and precise. A “Thanks” to you and 50 to 1. Love ya….And thats why i can tell you this….Not worth a sticky. Re: B.S. at 1:31 (“love” — NOT — I would never say such a thing, of no constructive value, designed only to discourage, to someone I deeply cared about, much less to one I loved…. you don’t know the meaning of the word, THAT is obvious). You have a gift, Anthony, of being able to present in a clear manner – something that not many of those prominent in the “global warming” debate (on either side) possess. The first thing to do is to quit using words like “horrible.” The only one of the three that even stacks up as “bad” is Chernobyl. At Three Mile Island everything worked. The fail-safe system failed properly and the total local radiation was about what you would get moving to Colorado. Similarly, Fukushima, while designed with the typical Japanese penurious approach to using space, still doesn’t approach “bad.” Radiation releases were trivial in comparison with Chernobyl. Even the current episode is of negligible importance and could be thoroughly mitigated by serious dilution. The worst aspect of Fukushima is that the “ooh scary” quality of “nuclear” accidents overshadowed the real disaster and enormous tragedy of the earthquake and tidal wave. Letting that happen is criminal. First, thank you Jannis ! Now to my other point. I reviewed all of the video interviews and I offer this for those who probably did not get a chance to view them. It is imerative to follow the logic. Joanne, Dennis, Marc, David, Christopher, Anthony, great job and powerful stuff from all of you! Thank you! . The IPCC writes the data used for policy, no? How do they do? Pay attention and read the book ..
Have any of you actually read this? It is quite important in creating policy on a global scale as the IPCC arm of the UN makes happen. It is the CO2 vehicle manufacturer in the ehd. Now, pay attention to this information and assess the economics of such from one perspecitve of understanding. Quite simple in the end. Oh dear! Even with the preview option (which somehow did not appear on this old PC), I failed the spelling test. Mod’s help,,, Please add Fred too ! Be well all, and remember, you decide in the end. Did you? OssQss! Did you have a happy birthday? I tried to greet you above (9/2 at 6:36pm). Hope you had a good day, yesterday. Take care. Proud to be a small contributor to this effort; great job all who were involved! Anthony, thanks for all you do to promote the truth! The guy at that site (skeptics.com) also seems to lack listening skills just like others who have made negative comments on the video. I don’t know how Topher could have made it simpler or explained his position more clearly. Having watched all the videos, I am so impressed with Topher’s style and control and his beautiful interviewing method. The whole set deserves to go viral on the internet. It is a beautiful expose of the whole awful un-scientific scam. forgot what a great interview of a well rounded human being , thanks AW..
Great stuff, the cost of trying to stop climate change vs adaption. The shear arrogance that some of these politicians think they can control climate is amazing! Keep it up WUWT and all others fighting the good fight, the truth will out no matter how hard the likes of the BBC tries to hide it. Hey, OssQss — your reply was in moderation (you invoked the name of A-th-y :)) when I wrote just above. Glad you saw my greeting. You’re welcome! @Tobias — Huh? Not holding onto anything (that I know of, anyway!). Thanks, though, for your concern for my holding onto something that I should not be. re your assertion at September 13, 2013 at 1:20 pm. If you have a case then state it. If you did have a case then you would not need to set people homework. And asking us to go to your web site implies you don’t have one. The case is too long for a blog comment. There are six errors that contribute directly to the 20000-fold error plus several others that are thrown in as distractions. Among the errors I find are that 1) the *total* cost for mitigation is compared to the *annual* cost of no-mitigation, and 2) the benefit of ten years of mitigation is only evaluated at the end of the ten years, not in the long run improvement. These errors alone account for a factor of fifty. I understand that answer to say you don’t have a case with any merit. I anticipated a copy of the Abstract of your paper because that may have encouraged me to read the paper. But your reply was the pathetic reply I have quoted. Your answer says you have found “six errors that contribute directly to the 20000-fold” but you only state two. Why state only two? Why not state all six? And why state two which – you say – are relatively trivial? You say that together they only provide a factor of 50, but you claim the total error is a factor of 20000. Those four other direct and “several other” indirect asserted errors must be BIG if your assertion is true. Furthermore, you make a ridiculous claim when you say the “several other errors” are thrown in as distractions”. Nobody would “throw in” errors as “distractions”. That would be a hostage to fortune. Anyway, “distractions” from what and why? And how many of these “several other” distracting errors do you claim exist? Your inability to count them does not suggest your analysis is worthy. Frankly, anyone who presents that justification of an apparently absurd assertion needs to be ignored. Your answer certainly does not convince me I should bother reading your “analysis”. On the basis of your answer it seems my time would be more productively spent watching paint dry. That is the most confused, least informative, most convoluted combination of words I can recall ever reading. If that is economics reasoning by modern economists, no wonder modern governments fail their economic policies, tax policies, and energy policies. The root failure is the assumptions of future costs of NO growth and limited energy futures for ALL compared to the LACK OF BENEFITS caused BY the CAGW requirements and assumptions, assumptions of the current – and continuing! – costs of mitigation in the futile attempt to limit NATURAL temperature increase, and the utter failure of assuming that limiting CO2 will limit temperature increase. If the temperature continues to increase at all. That is: First, if the current temperature is NOT caused by an increase in man-released CO2, then ALL costs (failure to permit growth, costs and penalties of killing present and future human potential, and limiting current growth) are a penalty of CAGW dogma. Thus, the cost-to-benefit ratio is 1.3 trillion per year/”zero” times 100 years. For the US alone. Second, if man-released CO2 abatement and containment and disposal does NOT influence the growth of CO2, then it does not matter if CO2 affects temperature anyway. So, again, a near-infinite cost-to-benefit ratio. This would happen if, for example, man-released CO2 were only 4% of total CO2 change. Then, at best, total limits of all man-released CO2 would not affect anything more than 4% of whatever temperature change might have happened. And, of course, right now, temperature is not increasing anyway, so it is impossible to claim that temperature increases are going to happen in the future. All of the CAGW dogma cost-benefit statements are based on ASSUMED costs of CO2 increasing, ASSUMED costs of temperature increasing, ASSUMED costs of requiring CO2 abatement and mitigation, ASSUMED benefits of mitigation. And in ASSUMED “benefits” of both mitigating CO2 or even attempting to limit natural temperature increases. None of the realistic and extremely high world-wide COSTS of trying (futilely!) to limit temperature increases have been included. An earlier writer tried to make the comparison of CO2 mitigation to an insurance policy. If so, the cost of that insurance policy for a $250,000.00 home is 1,250,000.00 per year, and that policy will only pay if the house is burned by an exploding water heater during a blizzard after the roof has been blown off a hurricane in Montana.